You will arrive at the Warsaw Airport. Your driver you pick you up and take you to your hotel. Check in at your hotel. Rest of the day will be at leisure. Recommended activities: viewing terrace on the 31st Floor of the Palace of Culture and Science,museums: Warsaw Uprising, Fryderyk Chopin or the Museum of the History of Polish Jews (On your own). 6 overnights in 3 / 4 star accommodation as per itinerary (subject to availability) at the time of booking or similar. Includes 6 Breakfasts, meals as per itinerary (B= breakfast). Selected class hotels, rooms with private facilities. All airport / train station transfers. Private guided tours in Warsaw (including private transport), Krakow and Wroclaw. Ticket for Chopin piano concert in Warsaw. Private full-day tour to Auschwitz and Wieliczka (including entrance tickets to the guided tour in English in both places). Private full-day tour to Ksiaz castle, Church of Peace in Swidnica and Underground Town Osowka (including English-speaking private driver/guide and entrance tickets). Entrance tickets: St. Mary’s Church presbytery and Wawel cathedral. 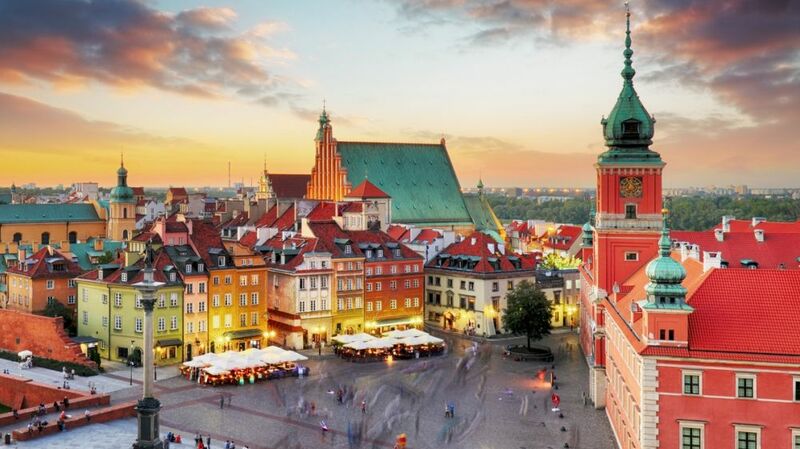 Train tickets from Warsaw to Krakow (II class) and from Krakow to Wroclaw (II class). The Church of Peace in Swidnica. COST: From EUR 902 onwards Per Person in double room or twin sharing basic in 3* Hotel. EUR 1008 onwards Per Person in double room or twin sharing basic in 4* Hotel.